AHA Courses Are NON-REFUNDABLE if cancelled within 10 days of scheduled class. Rescheduling Fee: $25 fee will be charged if course is rescheduled within 24 hours class. 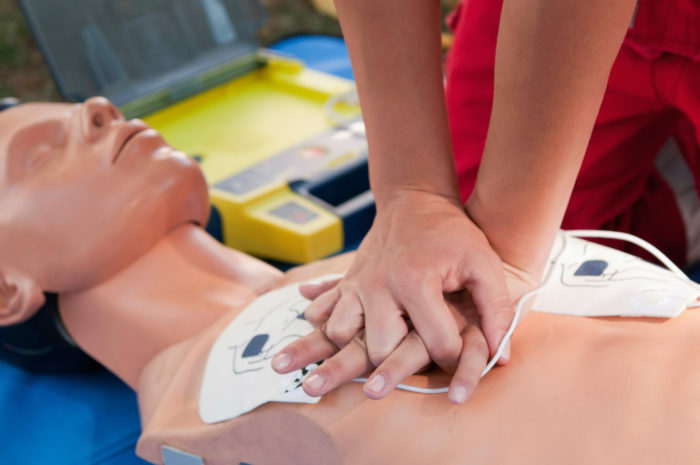 We suggest you take this class if you have never taken a CPR class, or do not have experience performing CPR on a regular basis. This class is suggested for students enrolled in nursing, EMT, paramedic, pre-med, other health-related schools, or for anyone currently working in a healthcare related industry. It will satisfy your requirements to move further in your education such as taking ACLS. This course is designed for the healthcare provider such as EMT, paramedic, nurse, NP, PA, physician, dentist, dental hygienist or students enrolled in a college healthcare field. A written exam and skills test will be required for certification. Class will start at 6:00pm. Doors will be locked at 6:05pm. Please plan on arriving 5-10 minutes early. Please see our policy on cancellations below. Your class fee includes the cost of the e-text. This class is NON-REFUNDABLE if cancelled within 10 days of scheduled class. $25 fee will be charged if you reschedule. No rescheduling is allowed within 24 hours of the class. If you cancel or reschedule within 24 hours of scheduled class, there are no refunds. Respond Right EMS Academy reserves the right to cancel any course if enrollment does not meet minimum registration requirements.